The new Netflix series “Tidying Up with Marie Kondo” that dropped just after the start of the new year has given me the chance to revisit my love for the KonMari method, and, more importantly, just organizing in general. I binged the show in 2 days, but since I’m currently on vacation, I couldn’t act on any of my tidying urges. I resorted to tackling my digital clutter. 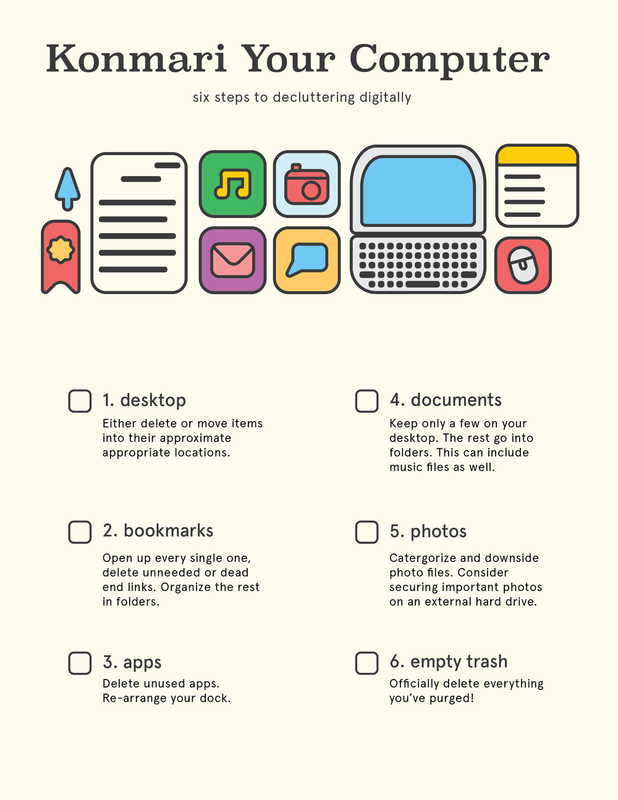 The KonMari method doesn’t necessarily cover digital clutter, so I made this handy downloadable guide. Click here to download!